Due to the nature of your commitments, it is not always possible to go to Umrah with a group, it is for that reason that we have fully customisable packages to suit your exact travel dates with all the services and security of our partner company in Saudi. From collection in a private car upon arrival to 3, 4 and 5 star hotels to Mazarat of Holy sites, we have it all covered. Below, you will find an example of a typical Umrah package, however as previously mentioned, you have full flexibility, all you need to do is fill our the Umrah request form below by pressing the Umrah Quote and we endeavour to give you a quote within 24 hours. What are you waiting, click now and get a quotation for your next Umrah trip. Please fill in your contact details and one of our team will be in contact with you shortly. Upon arrival at Jeddah Airport, your car will be waiting for you to transfer you immediately to Mekkah. 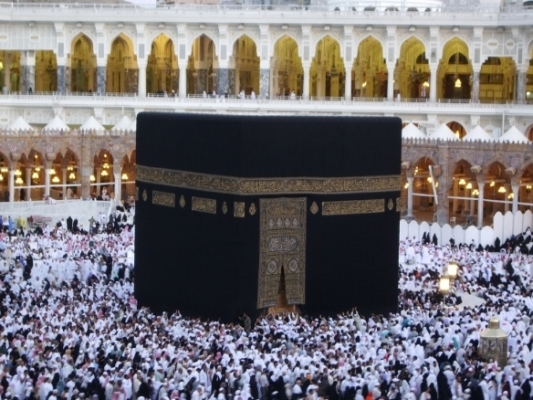 During this period our pilgrims can enjoy luxury 5 star accommodation facing the Haram. The next few days are left free for the pilgrim to enjoy the Haram and Ibadah. After Dhuhr, you are going to be taken from the Mekkah accommodation and driven by rivate car to the Medinah Hotel. The next few days you will enjoy the peacful sanctuary of the Haram of the beloved Prophet. Were you will make your salam to the Prophets PBUH grave and pray in the Rawdhah. Finally you will be droped off to the airport to catch your flight back to Dublin. Letter of Employment or a valid Utility Bill showing a year prior to travel. a. Minimum of 1 year residency in Ireland prior to the travel date. b. 6 months validity remaining from the return travel date.